PM rejects conclusions of anti-polygamy committee led by Justice Minister Shaked that Sharia courts be allowed to OK polygamy sometimes. 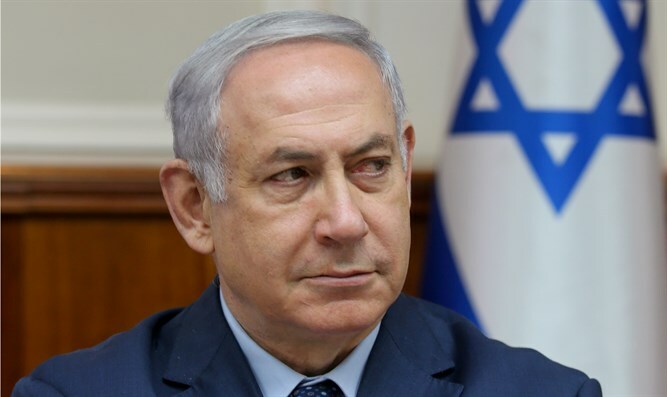 Prime Minister Binyamin Netanyahu attacked the conclusions of the anti-polygamy team that was established under the guidance of Justice Minister Ayelet Shaked. "I am not prepared to accept any situation of polygamy in the State of Israel - and this is my directive to the ministerial committee that discussed the matter," Netanyahu chirped. "There is a violation of the status of women, the exploitation of women, and the undermining of the demographic balance in Israel by importing women," he said. "In addition to strengthening the weaker sections of the Bedouin sector, strong enforcement must be ensured," the prime minister added. It should be noted that Netanyahu's anger appears to have been based on the recommendation to allow the Sharia courts to allow polygamy in exceptional cases.